Navigation:Home/Big island, moving to hawaii/Big Island or Oahu? Here’s an email I received from a woman in Italy that is hoping to narrow the search down to just one of the Hawaiian Islands – Big Island or Oahu, for her husband, daughter, and their dog. Amazingly, she typed this all up on her iPhone! I really enjoy your forum and the information you share with us on it!! Thank you. We are an Italian family from Venice (Venezia) that would like to move to Hawaii for a couple of years (then we will see) starting from November 2013. It will be my husband, my daughter of 2 years and myself, plus our little dog. 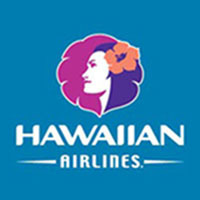 Anthony (husband) will be working / taking flying courses at Honolulu International Airport (he will be working there 3-4 days a week, half day), and I’ll be taking care of the kid and dog and house (hopefully being able to keep my Italian job and work long distance from home). I’ve checked the web and I’ve seen that to earn a living on Oahu is seriously expensive. Would you please suggest some good nice area where to live please? We are outdoors people, that enjoy sports and walking around and nature, but also nice people, music, some social life! Especially it would be good to find an accommodation (not too expensive, around $2000?) in a nice and safe area, where we can stroll around with the kid and dog without need to take the car to go shopping or to the beach or to the market! We otherwise have the opportunity to choose to be in Oahu or Big Island (Anthony would be working at Kona airport). Are you familiar with this island also? Any suggestions please? It seems much less expensive than Oahu, especially for housing, but I’m afraid the life style would be a little too much laid back here for us and the kid!? You have pointed out the major differences between living on the Big Island of Hawaii and living on Oahu. In my book, “Moving to Hawaii 2012 – Is Living in Paradise for YOU?” I cover living on the main islands and how different they are from one another. Big Island and Oahu couldn’t be more different… The social life you seek is on Oahu and Maui. Much more so on Oahu. The nature can be found anywhere in Hawaii, but on Oahu you are also surrounded by people, cars, exhaust fumes, horns, accidents, traffic, high-rise buildings, businesses everywhere… you have to drive a bit to get away from all that. If you want to have nature outside your house where you can walk around, then Kaui, Maui, or Big Island would be the right choice. I think it will really come down to what you want more. Is social a requirement? Then just go to Oahu. You’ll be able to get to beaches and parks that are far away from the cities – no matter where you live on the island. $2,000 will get you a one-bedroom condo, two-bedroom perhaps, in Waikiki. The windward coast is close by for a short drive. There were 64,382 households out of which 32.20% had children under the age of 18 living with them, 50.60% were married couples living together, 13.20% had a woman whose husband did not live with her, and 30.40% were non-families. 23.10% of all households were made up of individuals and 8.00% had someone living alone who was 65 years of age or older. The average household size was 2.75 and the average family size was 3.24. Hope that helps. I’m interested in how it all goes, would you write me back once you make the move and let me know how it’s going?